. Your cart will total 132 points that will be converted into a voucher of $132 towards your next purchase! Must be logged in to collect points. The Isotherm Cruise 90 BIG is a two door fridge-freezer solution. The refrigerator provides a volume of 70 liters (2.5 cubic feet) and the freezer a volume of 20 liters (0.7 cubic feet). 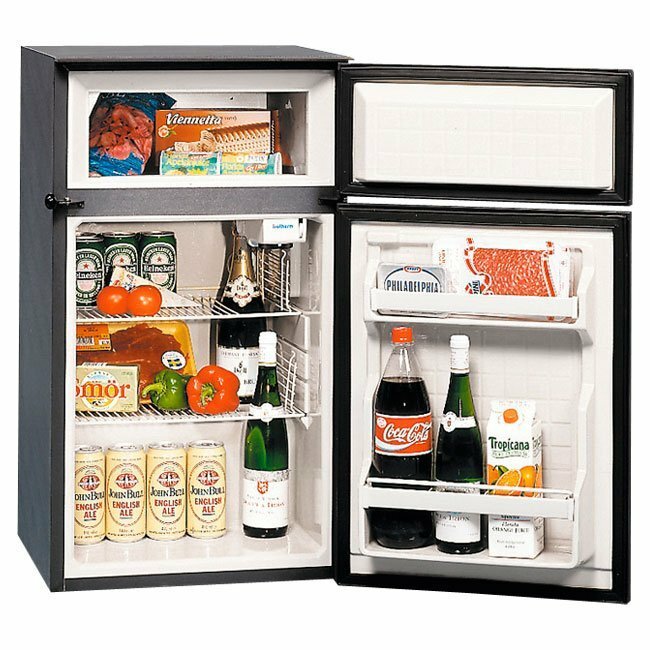 The refrigerator is equipped with interior light in the fridge compartment and two adjustable interior shelves and two molded-in, rugged door shelves. With bottom mount compressor, the CR90 BIG has unique dimensions that can solve fridge challenges for many boaters.